Office hours: 8:30 am to 4:00 pm, Monday thru Friday (closed on State and Federal holidays). Limit one transaction per appointment. ONLINE APPOINTMENT ONLY (up to 2 weeks in advance). NO WALK-IN SERVICE available. * Register an out-of-state vehicle to obtain Hawaii License Plates. * Transfer ownership on a Hawaii Title. * Out-of-state permit for vehicle with non-Hawaii license plates. * Surrender an out-of-state title to obtain a Hawaii title. * Replacement Hawaii license plates. * Replacement vehicle registration sticker. 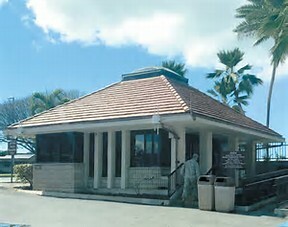 * Renewal - Hawaii vehicle registration. * Duplicate Hawaii vehicle registration card. * Surrender a Notice of Transfer from a Hawaii Title.